At Aspire we believe in building a supportive community around each child. Only through direct interaction between parents, therapists and program managers can the best outcomes be reached for your child. Aspire culminates in a network of over thirty Early Intensive Behaviour Intervention (EIBI) practitioners lead by our highly experienced team of Behaviour Support Practitioners (BSPs) and Program Managers. Dianne is a Board Certified Behaviour Analyst (BCBA) and is available to supervise BCaBAs and people undertaking the requirements to become board certified as Behaviour Analysts. Dianne has presented at conferences and has provided workshops internationally on Verbal Behaviour, Behaviour Management and Teaching Children with Special Needs. She frequently consults with schools in the Asia Pacific region (Hong Kong, Thailand and Singapore) and provides teacher and staff training for international schools throughout Asia. Currently, Dianne lectures at Monash University for the Masters of Education, in Applied Behaviour Analysis specialisation. Dianne is also a PART trainer and trains staff and parents in dealing with aggressive behaviour and how to restrain safely. Her current research interests are in Relational Frame Theory and its practical applications. Dianne is a member of the APBA, ABAI and AUABA. Sumit holds a Bachelor’s degree in Physiotherapy and had over 3 years of experience working with patients. She ventured into Behavioural Analysis in 2013 and started as an ABA Therapist. After years of hard work and dedication, she is a certified BCaBA and works as a Program Manager with Aspire in ACT and surrounding areas. She has the passion of a therapist and the heart of a teacher and has valuable experience of working with children of ages 18 months to 13 years, with varying abilities. 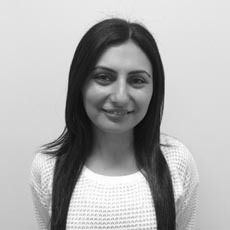 Sumit works hard in making sure she builds a strong rapport with the children and their families, thereby assisting the children to reach their full potential. Improvements in eye contact, social interaction, communication and self-help skills have been the remarkable and noticeable achievements that Sumit has noticed with many of her clients. After finishing high school, Marie started working to help empower children with specific social or educational needs and facilitate their access to schooling in various settings ( including learning centers, homes, and children who were squatting). Marie completed her Masters in Psychology in 2011 and worked in a hospital for children and teenagers with mental health issues and developmental disabilities. She particularly enjoyed working with children with complex needs, and started specialising in ABA. 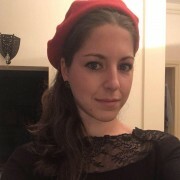 Between 2013-2018, Marie switched to work as a private consultant, supervisor or therapist in homes and schools in Belgium and France. She received her certification in 2016. Marie particularly loves working with parents and families to make therapy functional and achieve critical life skills, including self-help, communication and access to medical services. Marie has a special interest in feeding, alternative communication, functional communication training and the development of language in general. Marie is looking forward to developing her behavior analytic skills further by joining the highly motivated people at Aspire. She is keen to venture into research in the future. Tom completed a Bachelor of Science (Psychology) degree at the Australian National University in 2014. 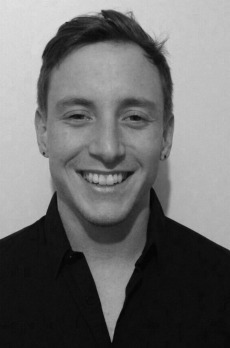 While completing his Honours thesis and coursework in 2015 he began working as an independent ABA therapist in homes and schools before joining Aspire as a full-time behaviour technician in 2016. Tom has recently completed his Behaviour Support Pracitioner training and is currently studying to become a Board Certified assistant Behaviour Analyst (BCaBA). Tom has worked with clients from 3 to 16 years with a variety of skill sets and strengths. 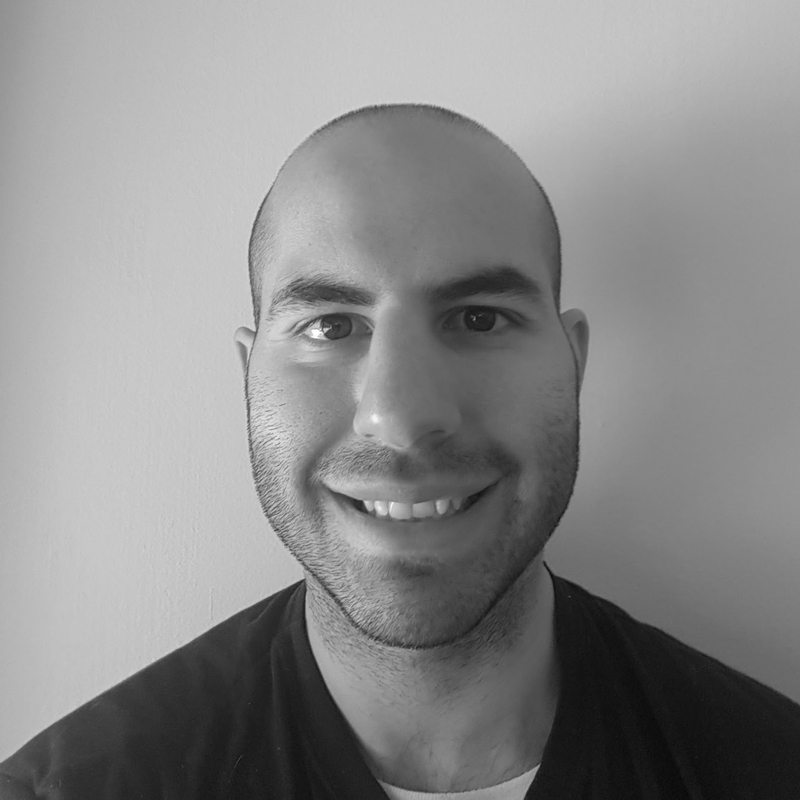 Tom has knowledge and experience in providing one-on-one therapy in clients’ home, in shadowing at schools, daycare facilities and respite centres as well as utilising the VB-MAPP assessment to determine clients’ skills. Tom is passionate about teaching language, play and functional skills with children of all abilities, as well as working with families, educators and carers to help encourage skill generalisation and the ability to learn in the natural environment. It brings Tom great satisfaction to build positive, fun and rewarding relationships with his clients, their families and their supporting network. He looks forward to expanding his knowledge through continued education and further developing his teaching skills. 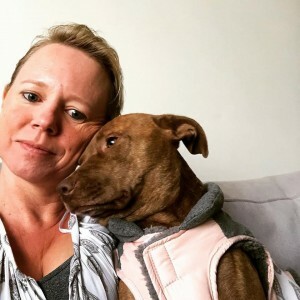 Emily completed a Bachelor degree in Speech and Hearing Sciences in 2010 and a Master of Arts degree majoring in the area of Speech and Language Pathology in 2012 at Macquarie University. She also completed Certificate III in Disability in a Pre-Vocational Program with Cerebral Palsy Alliance in 2011. Emily’s prior experience consists of 3 years of private tutoring covering all areas of the school curriculum, with young adolescents with special needs, including Aspergers Syndrome and ADHD. Additionally, Emily has worked in the disability sector as a Direct Support Professional for adults with a variety of disabilities. Emily joined the Aspire team in 2013 as a Junior Therapist and became a Senior Therapist in 2014. At Aspire, Emily has developed knowledge and experience in working with children from 2 to 10years of age and has worked with boys and girls with a variety of skill sets. 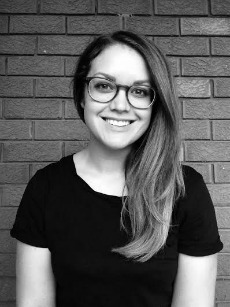 Emily has experience in providing one-on-one therapy at clients’ homes and the Aspire centre, shadowing at schools and daycares as well as conducting the VB-MAPP assessment tool to assess children’s skill sets. She has attended all training workshops provided by Aspire. Emily has a passion for working with children with special needs across all ages, and their families as it brings her great satisfaction being able to make a difference in their lives. Emily is very interested in the language development of children, relative to both the receptive and expressive components. Emily hopes to continue to build her knowledge and experience further in ABA therapy. Shelby completed her B.A. in Psychology with a minor in Applied Psychology from the University of California, Santa Barbara in 2014. She was trained as an ABA therapist in 2014 and worked as an independent therapist until joining Aspire as a Behaviour Support Practitioner in 2016 and becoming a Registered Behaviour Technician from the BACB. Shelby has experience in working with children of many backgrounds and abilities. She is passionate about working with children’s families in building their capacity to facilitate therapy in their natural environment. 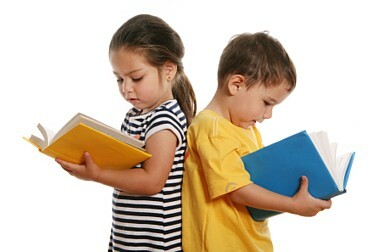 Shelby has therapy experience across many settings including clinical, home-based, school, and social skills workshops. She started her certification course as a BCaBA from Florida Institute of Technology and is also Co-Supervising teams with Clinical Director, Dianne. Jake has been working in the field of ABA for the last three years, and has been a part of senior teams for the past two and a half years. He is currently finishing his graduate level studies to complete his BCaBA, to become an accredited ABA professional. The first thing you will notice about Jake is his immense passion. His energy, enthusiasm and eagerness to help people with socially significant challenges make him an asset to any family’s team. Jake is experienced in teaching early learner skills including language, imitation, matching, and play skills, as well as intermediate learner skills like primary school academic skills, perspective taking, executive functioning, and theory of mind. Along with teaching, Jake particularly enjoys helping to reduce challenging behaviours such as aggression, self-injuriousness, and disruptive tendencies. Exercise caution when talking to Jake about ABA as he has poor impulse control and will babble to you for hours about the technical and applied aspects of the discipline! 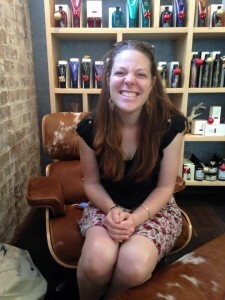 Liz obtained her Bachelor of Arts (Psychology) and is a qualified and experienced SBT and Program Manager. She recently joined the Aspire team, after working as an independent Technician since starting ABA in 2011. Liz brings her wealth of experience in ABA therapy to the team and to the families who value Liz’s creative and outgoing approach. Liz has worked alongside multiple ABA clinics in Sydney, and is equipped with skills to address the needs of all kinds of families. 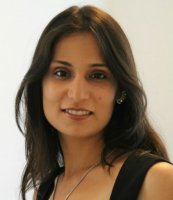 She is particularly passionate about augmented communication systems and feeding difficulties. Liz is currently studying towards her BCaBA qualification. Like many of the kids she works with, Liz is very fond of ice-cream. Peter completed his Bachelor of Behavioural Science in 2011 at the University of Notre Dame, Australia and holds a Certificate IV in Allied Health Assistance from Open Colleges. Since then, he has worked in the individual services industry, the education system, and the disability sector implementing programs for a variety of individuals ranging from early learners to adults. He joined the Aspire team in 2017 as a Behaviour Technician and became registered with the Behaviour Analyst Certification Board in the same year. Peter finished his Behaviour Support Practitioner training in 2018 and is currently studying towards becoming a Board Certified assistant Behaviour Analyst (BCaBA) with the Florida Instititute of Technology. Peter is passionate about developing children’s functional skills and will strive to unlock your child’s full potential. He believes that establishing himself as a reinforcer is one of the most important aspects of therapy as it fosters learning, builds a positive relationship with your child and overall allows your child to have fun! 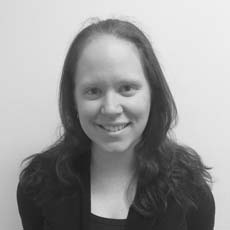 Kerry-Anne studied Speech Pathology at the University of Sydney and graduated in 2008. Kerry-Anne began working at a busy Western Sydney private practice in 2009. Soon after starting, she developed a keen interest in working with children with Autism Spectrum Disorder, their families and their educators. This interest led Kerry-Anne to complete her Masters of Inclusive Education in Autism through the University of Canberra, graduating with a Dean’s Merit in 2010. 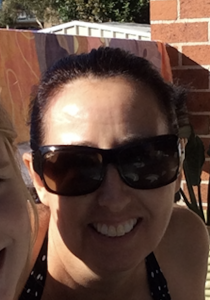 Kerry-Anne started Cheeky Speakers Speech Pathology in the Newington area in 2015. Kerry-Anne assesses and delivers speech pathology services for children aged 18 months to 18 years with communication difficulties including: articulation; phonological disorders; receptive language; expressive language; literacy and fluency. She has experience working with children who have a range of diagnoses including: specific learning impairments; ASD; Down’s Syndrome; ADHD/ ADD; ODD; VCFS and Foetal Alcohol Syndrome as well as families from culturally and linguistically diverse backgrounds. Kerry-Anne enjoys working with families at the Aspire Early Intervention Centre, Newington Medical Centre, their preschools/ schools and their homes to assist them with improving their communication skills. Lynda joined the administration team in April 2016. With previous roles as a Team Leader and Manager in the cosmetics industry, Lynda brings her skills in customer service, management and high levels of organisation to Aspire. Lynda is highly adept at problem solving, and loves working with people to find the best outcome. With her versatile skill set, Lynda enjoys a hands-on approach and leads the administration team by example. With her passion in delivering tangible outcomes, Lynda works tirelessly to see Aspire continue to grow, and deliver services to more families in need. Max joined the administration team in July 2017. With a background in policy advising, community work, advocacy and politics, Max is passionate about social justice. They completed a Bachelor of Arts, with a Major in Gender Studies in 2013, and a Diploma in Community Services in 2010. Max brings a diverse skill set to the administration team, including organisation, communication, policy development, writing and teamwork. They foster the values of inclusivity that Aspire encourages. 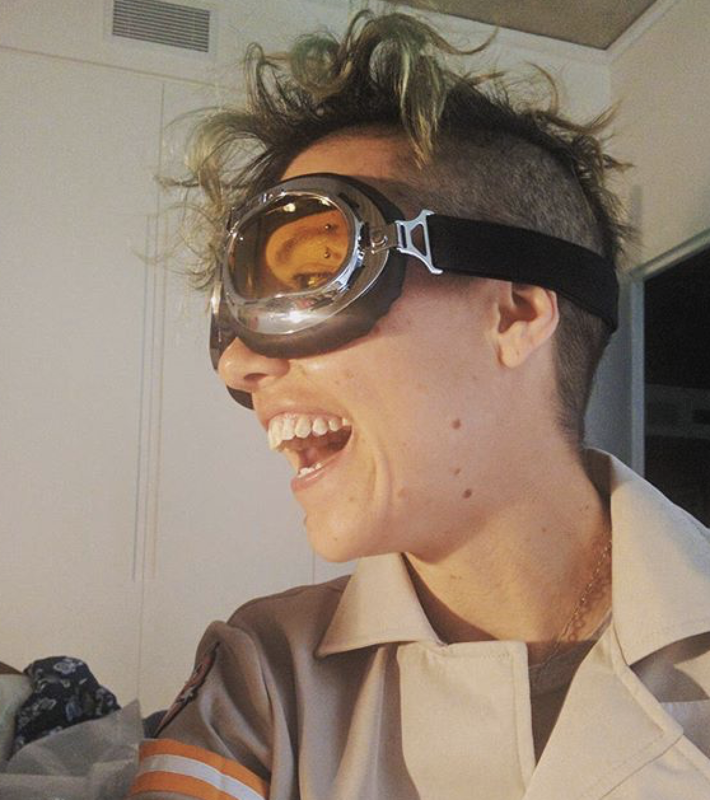 Max really likes the 2016 release of Ghostbusters. *As a trans, non binary person, Max uses the pronoun they/them. 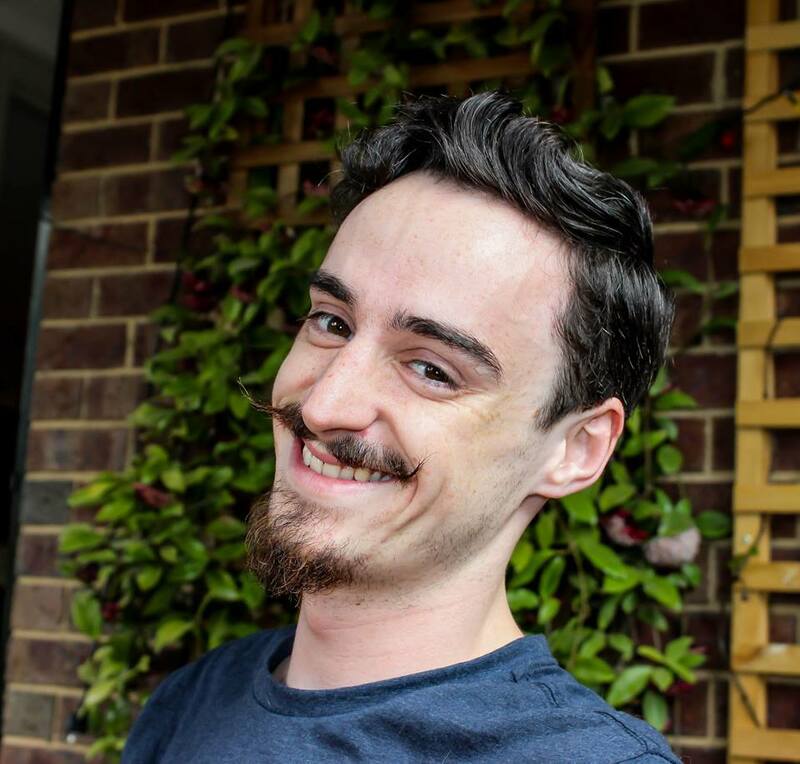 Alan has completed a Bachelor of Psychology degree, with a focus on autism and intellectual disability. 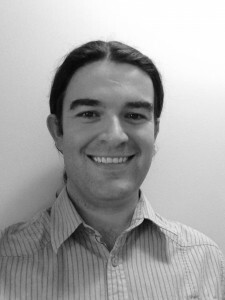 Alan also holds a Certificate IV in Training and Assessment, and is a Motivational Interviewing trainer. He has provided expert clinical support in government, non-government and private sector roles as the leader of specialist teams, a senior clinician, and in specialist roles. Alan has over 10 years experience in providing high quality individualised behaviour and positive lifestyle supports to people from all backgrounds, situations, circumstances and needs, from parenting support, to supporting clients in the criminal justice system; day programs, group homes, work, respite, schools, recreation groups, and much more. Alan has particular skills in providing consultation and behaviour support to adolescents and adults, with a thorough understanding of support services, systems, and personal needs across these important life stages. Alan can assist with behaviour assessments, reports and support plans, positive practices, restricted practices, skill development, safety planning, implementation, goal attainment, ongoing therapeutic supports, assisting with establishing and maintaining placements at respite, school, work, group homes, day programs and community groups. Alan also has a wide range of direct support experience, having worked in respite, vacation care, day programs, group homes, among many others. The combined sum of this training and experience is high quality, realistic and down to earth clinical supports and intervention from a place of understanding, caring and support.